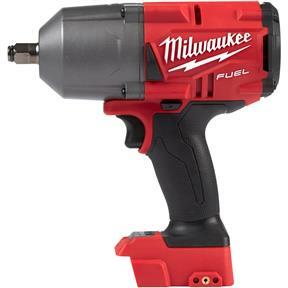 The 2767 M18 FUEL™ High Torque ½” Impact Wrench with Friction Ring eliminates the need to use a pneumatic tool for those stubborn and rusted bolts by delivering 1,000ft-lbs of fastening torque and 1400ft-lbs of nut-busting torque. With 2X faster removal speed, users will be able to get the job done faster and be more productive throughout their day. 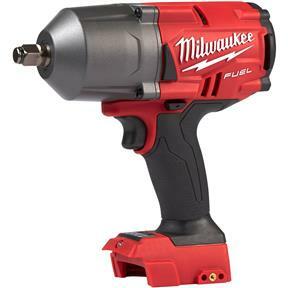 By providing the industry’s most compact cordless High Torque Impact Wrench at 8.39” in length, this tool allows for more access in tight spaces. 4-Mode DRIVE CONTROL™ with Bolt Removal mode gives users the most control over their fasteners. Bolt Removal mode gives the user more control when removing fasteners by slowing to 750rpm once the fastener has been busted loose. This tool offers quick, tool-free socket changes with a 1/2" friction ring anvil. A premium rubber overmold material gives you ultimate comfort during prolonged use while lasting longer against corrosive materials.